Look wonderful and comfortable at the same time is not a problem any more. This beautiful halter red dress will fit you perfectly without any effort. Halter polka dot red dress will fit you perfectly without any effort. Beautiful lace top with polkadots peplum waist and knee length is all your need. This new dress style include extra power stretch fabric lining that reinforce the waist dress giving you more suppression without the need or wearing uncomfortable underwear. 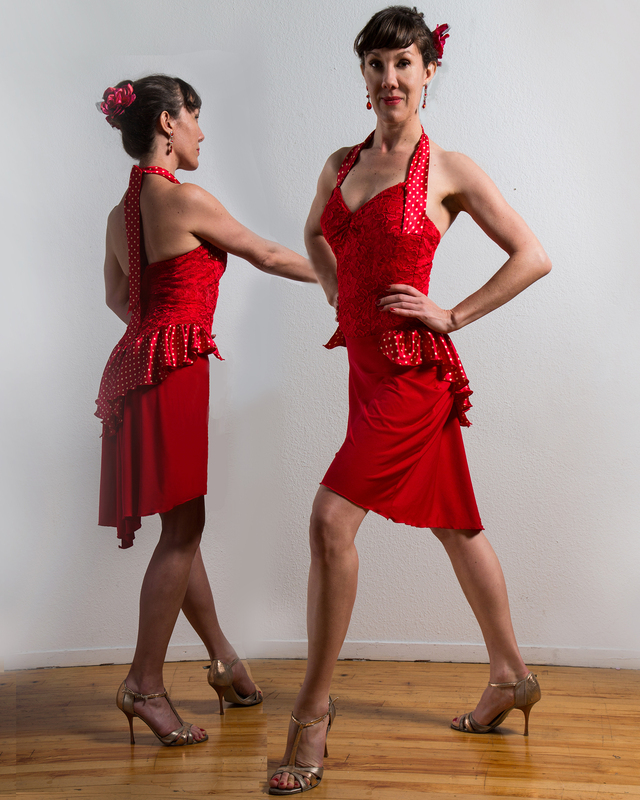 Categories: Argentine Tango Competition Costumes, Argentine Tango Social Dance Dresses.